Covering Tracks is a regular series in which we ask our favorite producers and DJs to recommend ten new (and not so new) releases. 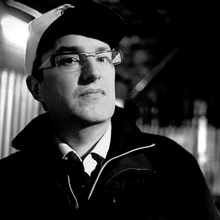 This week’s submissions were compiled by longtime Mancunian producer Trevino, who cut his teeth making drum n bass as Marcus Intalex. He’s just launched and inaugurated a brand-new imprint called Birdie. Simple and super effectve analog workout with Juno-sounding bass and killer strings. Fluff with attitude. “Sexism” has some killer keys that lay over a rugged baseline. It’s an excellent close-your-eyes-and-drift-away kind of tune. This is a big one, and I’m guessing you’ve probably already heard it —two of the biggest names in the scene combined to bring this killer melancholic piano and sub-bass roller. I love these guys—they’re probably my favorites right now. “Mount Eleven” has a deep moody techno attitude with killler broken beats. I heard this on the Dettman Essential Mix and fell in love with it. It’s exactly what I would imagine the future to sound like. The lead pattern that meanders throughout the track is so damn good—quite trance-like, but very, very techno in attitude. Quirky, funky, bleep-y, hedonistic, house-y fun. Cant get enough of this tune—I think it’s gonna stay in the box for a good while yet. This makes me think of Derek Carter from the mid-nineties for some reason. Again, this is proper deep house music. “Love Play” is a simple, effective, and fun track to play. It has a slight “Computer Madness” feel to it, but with a more modern production feel. Works a treat on the floor, also. “Chorus Memory” has a more modern sound. It’s big in production and attitude and has this somewhat mesmerizing chord that modulates throughout.